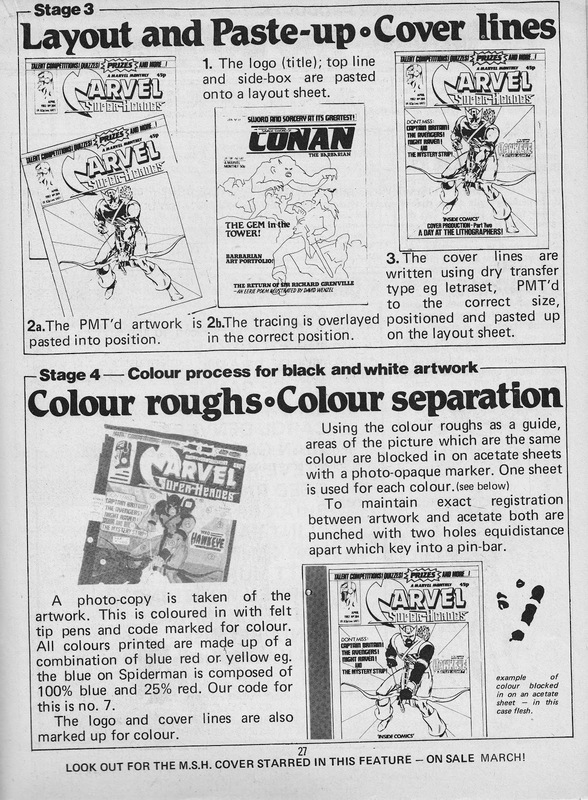 I found this out-of-the-ark behind-the-scenes feature in Marvel UK's MARVEL SUPER-HEROES (issue 382, February 1982, to be precise) magazine and thought it was an ideal candidate for inclusion here. It's geeky, even for geeks! 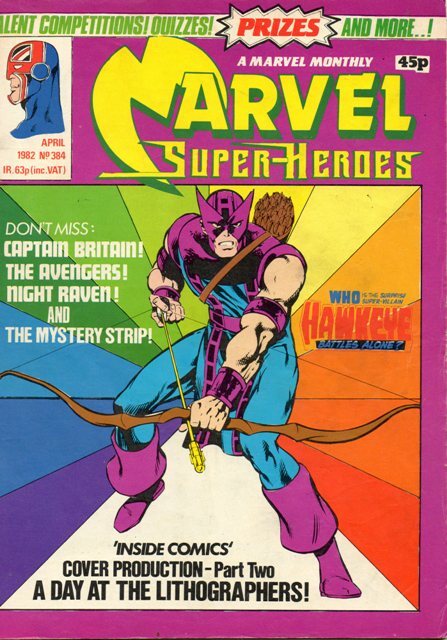 Here's the finished cover, from MARVEL SUPER-HEROES 384. 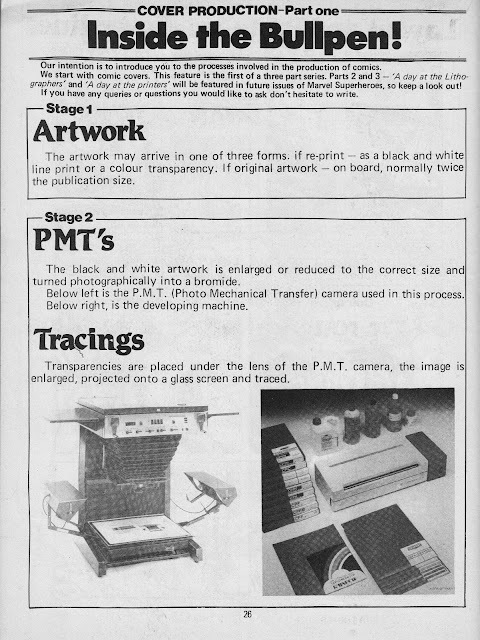 Truth-be-told, the issue is missing from my own collection so I purloined this scan from elsewhere online. A Day at the Lithographers surely made this issue a top seller!